"Entering the Rainhill Young Musician Competition gave me the chance to focus my practice on giving a great performance, as well as preparing me for important auditions." In 1978 John Houghton, an organist at St. Ann’s Church, set up a yearly competition in Rainhill for young musicians. Gradually this competition grew, becoming one of the focal points of the school and village calendar, with all Rainhill primary and high schools competing or performing. Many previous winners have gone on to have illustrious careers in music. Local concert goers often recall with fond memories the Finals Nights, not just for the solo performances, but the legendary Rainhill High School Big Band and the choirs from different schools. John Houghton’s initial idea had been realised; an opportunity for young people to perform in a supportive and encouraging environment. In 2005, the last John Houghton Trust Competition was held at St. Ann’s Church, with talented violinist Sonia McCall named as the winner. She is now pursing a musical career as a violin student at the Royal Northern College of Music in Manchester. Little did anyone know that Sonia was to be the last recipient of an award that had run for over 25 years. Schools were notified with regret, and the competition ceased from 2006. The following year Andrew Dickinson was at home performing solos with St. Bartholomew’s Choir in the Christmas Eve Service, having returned from his studies at Music College. As a previous winner of the competition he asked who had won last year’s trophy, to be told the sad news of the event ceasing to exist. 1) To re-launch a Music Competition for young people in Rainhill. 2) To incorporate with this a new Music Festival, expanding on the idea of providing young people with a platform to perform. Thanks to financial support from local businesses, combined with the help of Rainhill Parish Council and local Charity MLC, the Rainhill Young Musician of the Year Competition was launched in October 2010, accompanied by a concert of previous winners of the John Houghton Trust on the evening prior to the Finals. All of the previous winners present (Robert Owen - Piano, Rebecca Raven - Clarinet and Sonia McCall - Violin) shared the view that it was important to keep the Competition alive. The first winner of the Rainhill Young Musician of the Year was Adam Matthew Case - Cornet, for his performance of "Georgia on my mind." The evening was adjudicated by Karen Humphreys, head of the Junior Royal Northern College of Music in Manchester, to an enthusiastic and full-to-bursting St. Ann’s Church. The Compère for the evening, John Leech, who hosted the Finals in the days of the John Houghton Competition, commented how wonderful it was to have this opportunity for young people back in the diary of events in Rainhill. A photographic record of the 2010 Competition can be found in the Gallery section. The RMF committee was not done yet. More fundraising and outside sponsorship led to the first full Rainhill Music Festival, which surrounded the Competition with a full week of music. 2011 saw a whole range of events as the RMF Committee looked to expand the festival; evening performances from St. Bartholomew’s Choir, The Merseysippi Jazz Band, LIPA 4:19 presented a wonderful music theatre evening and St. Bartholomew’s choir were joined by St. Helen’s Choral Society and the Wirral Symphony Orchestra for a spectacular performance of Haydn’s Creation to end the week. In combination with these events, the Rainhill Young Musician of the Year was won by Lidong Xiao (piano), who at only 14 played a beautiful Scriabin Etude with great style. At the inaugural Battle of the Bands Final, “Second Chance” was awarded First prize and a lucrative contract with Sentric Music, giving them an immediate gateway into the music business. If all this wasn’t enough, time was found for masterclasses for high school students and workshops for primary pupils, both presented in a non-performance environment to nurture young talent in the area. In 2012 the RMF hosted its first full-scale musical, Oklahoma, as the main concert of the week, with 2 performances in St. Ann's Church. In many ways the show epitomised the goals of the RMF; high quality performances with a mixture of young and old, professional musicians and amateurs, all working together and learning from the experience in front of enthusiastic audiences. The Young Musician of The Year had more entries than ever before and featured ensemble performances from St. Bartholomews Primary School, St, Ann's Primary School and Tower College. 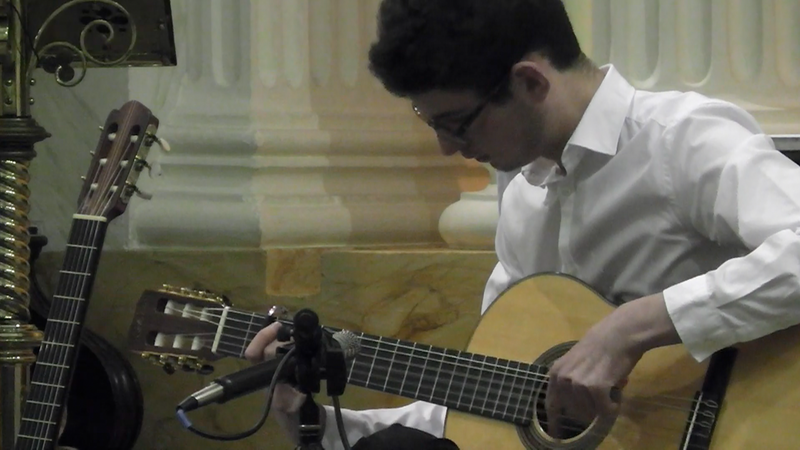 In a finals evening that was high on quality, the eventual 1st prize was awarded to Niall Kavannagh, a student at Cronton 6th Form and a classical guitarist currently auditioning across the UK for entry into Music Conservatories. Finals Adjudicator Simon Emery praised Niall for his exceptional skill and atmospheric playing, and a packed church could not argue with the result. In addition, the Soundcity Youth Live Heat was won by Mr. Jayy. The 3 piece band narrowly missed out on 1st place last year, but made no mistake this year to scoop a place in the Souncity Grand Final next year. RMF also awarded prizes to 3 other bands in another evening packed with talented youngsters. Concerts throughout the week included Skiffle Bands, Lieder Recitals, Folk Open Mic nights, String ensembles and Samba Bands as more audiences than ever came to a week full of diversity. The Rainhill Music Festival continues to grow year on year, increasing in popularity and diversity. It has received fantastic support from St.Helen’s Council, St. Helen’s Music Service and the Rainhill Rotary Club, who all recognise the festival’s importance not just to those involved in performance, but also to the local community who are enabled by its’ existence to experience high quality musicianship in their own village. In 2013 RMF continued to bring diverse concerts to a local audience, beginning the week with a War Memorial Concert involving choirs and musicians from the area. The chamber orchestra version of Faure’s Requiem was accompanied by War Poetry from Rainhill Civic Society as well as Rainhill Hi Notes with songs from the Military Wives. St. James’ Methodist Church were treated to an intimate recital for Harp, Oboe and Voice, whilst St. Bartholomews were given a virtuoso recital by RYMOY 2012 winner Niall Kavannagh, accompanied by local guitarists in an “Unplugged” concert. Over 100 singers gathered at Rainhill High on the Thursday night for a very special “iSing” workshop with Dominic Peckham, who had a mixture of age groups perform choral versions of Lady Gaga and Rhianna in a unique concert. The 2013 Battle of the Bands winners were In Our Defence, a Metalcore band who wowed the judges and were awarded a recording day at Parr St Studios in Liverpool. The winner of the 2013 Young Musician of the Year was Solomon Miles- Donnelly, a young man who has developed in the last few years into a fantastic pianist and surely has a very bright future ahead of him. To end the week, RMF gathered a combined schools choir from St. Bartholomews, St. Ann’s and Longton Lane to perform A Sporting Chance by Bob Chilcott. In 2014 Rainhill Music Festival continued it’s mission to further young people as well as produce exciting and inspiring concerts locally. The festival week began with a sensational event in conjunction with Rainhill Rotary. RMF took over the Rotarian Beer Festival Tent with a concert promoting local bands in the area. The gig was headlined by The Hummingbirds but also featured up and coming artists such as Alex Hulme, Sugarmen, Sophie Morgan and The Mono LPs. The standard of each group was phenomenal and a captive audience were impressed by the professional setting and entertained all day. The Rainhill Young Musician of the Year grew significantly by giving every entrant an opportunity to perform to the public in the 1st rounds. Out of nearly 100 entrants in total, Friday’s Finals Evening gave a platform for flautist Megan Simpson to showcase her talents, and for her to claim 1st prize. Finals Adjudicator Naomi Atherton was very impressed by the overall standard of finalists and commented on how lucky Rainhill is to have such a wealth of young talent! The Festival week finished with a performance of Carl Orff’s Carmina Burana combined with Musical Theatre favourites, in the fantastic venue of St. Helens Parish Church, a first time for RMF and hopefully not the last. The standard of musicianship from soloists, Ad Solem Chamber Choir and Phoenix Arts was simply breathtaking, held together by the charismatic Dominic Peckham, who as well as conducting the concert even had the audience participate in the some of the evening. In 2015 In 2015 RMF focused on expanding the Young Musician of the Year competition to the wider areas around Rainhill, and we were treated to some of the most talented young people performing in the event. The winner of the competition, flautist Chris Hill, has gone on to perform at the BBC Young Musician of the Year competition as well as winning other national competitions. His playing in the finals evening was a revelation and Finals Adjudicator Rod Skipp (of the Liverpool Philharmonic) predicted a long and successful career. Praise must also be given to Runner Up Julianna Antzcak (cello) and Most Promising Musician Leo Arthur Bailey Yang, an extremely talented pianist and our youngest ever competitor at 8 years old! RMF closed its week with a dramatic programme of American music; Stars and Stripes. This was a 3 month project working closely with primary school choirs in Rainhill as well as assembling a scratch youth orchestra from the St. Helens and Liverpool areas. An ambitious programme of the Copland Old American Songs was tackled with great spirit by the combined Rainhill Primary School Choirs, who had the opportunity to perform with a live orchestra and International soloists for the first time. The 2nd half of the concert featured the heartfelt Adagio for Strings by Barber, as well as some musical favourites from Annie, Carousel and West Side Story. A packed house at St. Helens Town Hall couldn’t fail to stand at the end to applaud the achievements of the young people in the orchestra and choir, who also had a good time in the process!